…and before next WHYBW, I’ll be reviewing Sando (Australia: ABC), Krypton (US: Syfy) and anything else that appears on the radar in the next few days, as well as previewing next month’s The Crossing (US: ABC). SEAL Team took a week off again, so after the jump, the regulars: Black Lightning, Counterpart, DC’s Legends of Tomorrow, The Good Fight, The Looming Tower, The Magicians, Timeless and Will & Grace. John Constantine’s back and giving us a flavour of what it’ll be like if the show gets renewed for a fourth season. And to be honest, it was a lot more fun that some previous episodes, which suggests that the producers know they currently have a bit of a charisma gap in the current cast and have come up with a good idea to fix that gap. Not a great episode, though, but notably, Dominic Purcell seems to have been upgraded, too, to make him a proper superhero (presumably not possible before the departure of Firestorm, as two characters with fire powers would have been odd). On top of that, not only did we get the first US TV use of the word ‘pet’ in the Northern English sense, there was a Doctor Who reference. Shame Arthur Darvill wasn’t around for that. PS Kudos to the show, though, for giving us what’s basically Alien and heralding it by getting someone to activate the ‘Nostromo protocol’. In which the show tries to work out how magicians could be a possible use to the FBI when other magicians aren’t the perpetrators of crimes. Unsurprisingly, the answer’s a tad unconvincing, albeit a little more convincing than Vinnie Jones’ acting. Really just a fun bit of fluff without much merit, but watchable enough. Thankfully returning more to the topic in hand after last week’s relationships episode, this week we enter the year 2000, worrying about bugs and efforts by Osama bin Laden to sabotage new year. We also get to see the fatal failure in communication between the CIA and the FBI that allowed the 9/11 terrorists to enter the US, even though the CIA knew they were on their way. Not quite as tense as the first few episodes, though, and a lot of characters are now basically sitting around doing nothing, leaving only Tahar Rahim to do some legwork. A slightly silly episode that tries to crowbar NASCAR racing into the evil villains plans’. As well as the usual fascinating bits of small history, not just big history, some cultural amusement as our Texan hero gets to mock his know-nothing coastal friends, but also some hard looks at 50s racism. Plus Patterson Joseph again had something to do, although as suspected Goran Višnjić just sat in a cell again. I wonder if he’s basically done one day’s worth of filming that’s going to spread across the entire season? Finally meriting a promotion to the recommended list, Black Lightning is shaping up as one of the best combinations of politics and actual fun in the current crop of superhero shows. Jessica Jones and Luke Cage can do politics, but they’re not exactly fun; Legends of Tomorrow and Flash can do fun, but aren’t exactly smart or political. Now we have a show that can do both. Perhaps more fascinatingly, Black Lightning does that without having that much superhero action. Instead, most of the action is in the discussion of issues, character relationships and black culture. Even the little things speak volumes, such as the fact our middle-aged black hero talks differently, using black slang when he’s Black Lightning so he doesn’t sound like a High School principal. The cold war heats up properly and very excitingly, as the bad guys’ plans are just about revealed, even if we’re left with a Bron/Broen cliffhanger that’s a little hard to understand at this point. 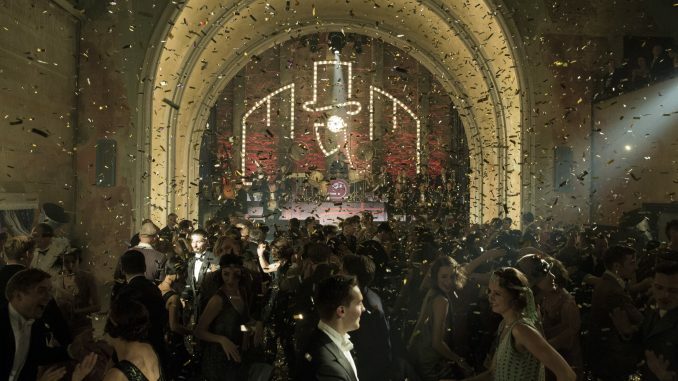 As usual, the relationships are the key, but central Berlin was a great co-star and it was good to have a proper Babylon Berlin reunion for Liv Lisa Fries and Leonie Benesch. Plus who knew JK Simmons could be so good at martial arts? Although mostly some welcome courtroom drama taking on reality TV’s coercion of women, the most fascinating part of the show was the quite forensic exploration of what happens when you get sent ricin through the post. Interesting to see how much people skills are important, not just the ability to wear a hazmat suit. Lots of advances on the fairy front. Still no magic though. Will & Grace takes on the ‘gay wedding cake‘ ruling by flipping it on its head to give us a ‘MAGA cake’, making some good points on the way. Less interesting is Will’s hooking up with an old boyfriend.